1. Pour the emulsion into the scoop coater. 2. Fill the scoop coater ¾ to the top. 3. Either figure out a comfortable position in which to hold the screen, or prop it up against a wall on a table. You are looking for a decent angle on it, with the ability to move the screen as you move the scoop coater. If you can prop it up against the wall, with something to hold it in place, that is best so that you may use the scoop coater with both hands. 4. Hold the scoop coater from the bottom centered, making sure that it is level so that the emulsion does not run out from the sides of each end! 5. Firmly push into the screen and angle the scoop flat against the screen, press against the screen and pull upward to the top. End your stroke by tilting the scoop coater back towards you, and giving it a small, quick 'back-and-forth' motion, to finish the stroke evenly. 6. Turn the screen to the inside (Where the ink goes) and repeat steps 3 through 4. Use the thin side of the scoop coater. 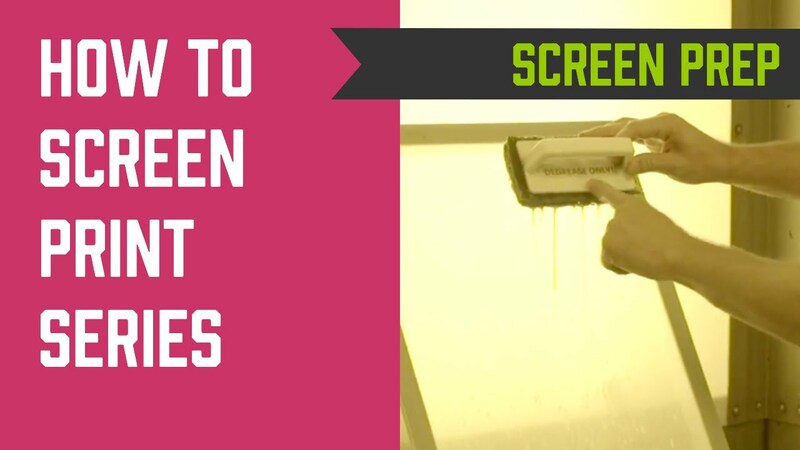 If you coat your screens to thick they may not wash out! This can be tricky because it mimics over exposure, in fact the emulsion is just too thick and is really under exposed, parts of the image may wash out and finer parts may not rinse out altogether. So rule of thumb is one coat for each side using Dual Diazo Emulsion. Rinse both sides of the screen, let the screens sit for about 40 seconds; this will soften up the emulsion. Carefully start your rinse from the top of the backside of the screen and work downward. Typically the image should just dissolve as the water runs over the screen, try using a Garden attachment with a medium mist spray. YOU DONT NEED A PRESSURE WASHER TO DO THIS!! Too many times people purchase a pressure washer and use it for rinsing out your images. If using a pressure washer make sure you only use the low setting and stand back a little further. Remember your rinsing the screen, not blowing the heck out of your screen!